We team up with a large number of companies offering transport, and thus we can provide either brand new and luxurious coaches, or a little older but still comfortable, safe and air-conditioned models if you prefer to keep the costs down. 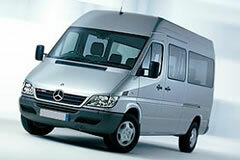 The minibuses and coaches can be rented in Warsaw, Krakow, Gdansk, Poznan, Wroclaw and other Polish cities. We are a travel agency specializing in packages. You need to book at least two services to create a package, allowing us to substantiate our service by assuring competitive prices. To maximize efficiency, please send us your itinerary. Based on this information, we will be delighted to prepare a personalized, competitive offer. Learn more about our Tailor-made tours.